Today in currency trading the New Zealand Dollar (NZD) was strong on all pairs. 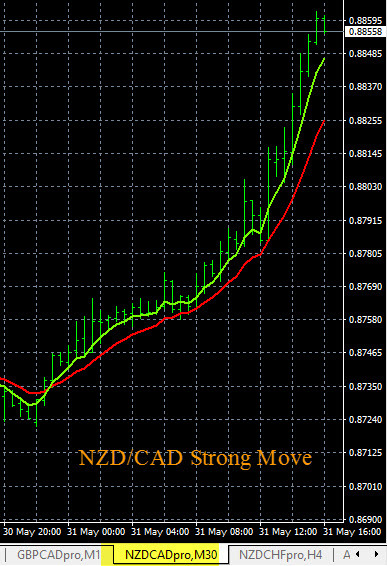 This strength drove movement on several currency pairs on the NZD group. The NZD/USD cycled up and the GBP/NZD cycled down fairly strong. 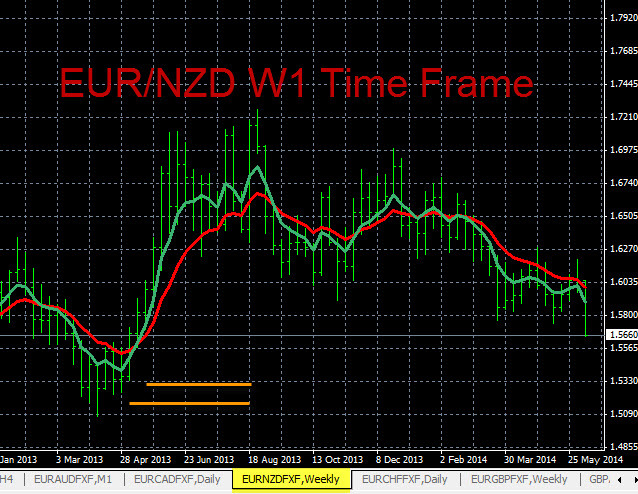 The NZD/USD is trading inside of a range on the smaller time frames and we would exit this trade. The GBP/NZD is also ranging but it should continue down for one more day to the next support level. The currency strength indicators you see below is The Forex Heatmap®, which provides trading signals for 28 currency pairs in real time.